Join us as Pastor Regina T. Harris and the New Life Dept. 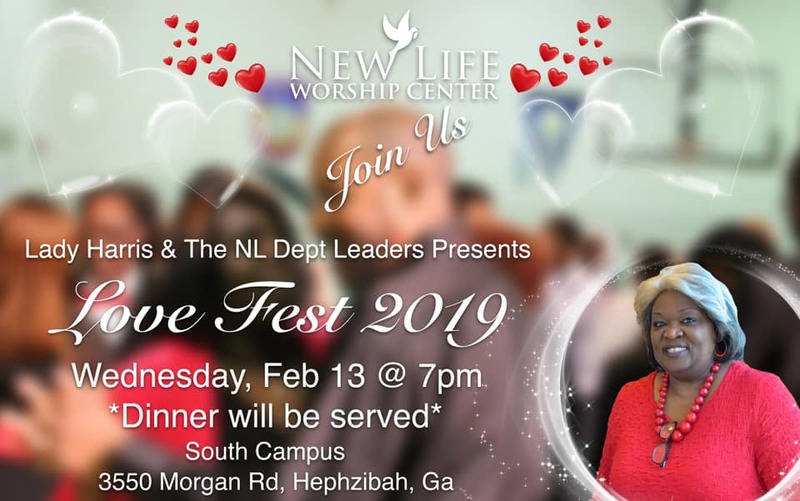 Leaders present “Love Fest 2019”. All are invited to this amazing community event, including couples and singles. Dinner will be served. Admission is free.